Yesterday on my vacation day, I left my apartment as a man on a mission. A mission to drink beer. 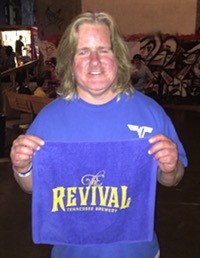 Well, I suppose that’s my mission every day, but yesterday I had a particular mission: To drink the three featured beers brought to the Memphis market by Hattiesburg, Mississippi brewing company Southern Prohibition. I wanted to learn as much as possible about the beers, so the best place to go was the Flying Saucer. As a member of their UFO club, I can print off tickets on the computer recording that I have purchased the beers. When I get to 200 different beers, I get a plate on the wall. I have 8 plates on the wall (actually one plate, colored white to signify that I’ve been around the Ring of Honor 8 times) and had been stuck at 48 beers toward plate 9 for quite some time. Yesterday I got unstuck. The great thing about the ticket system is that the tickets have really good descriptions of each beer, so you can learn about what you’re drinking. 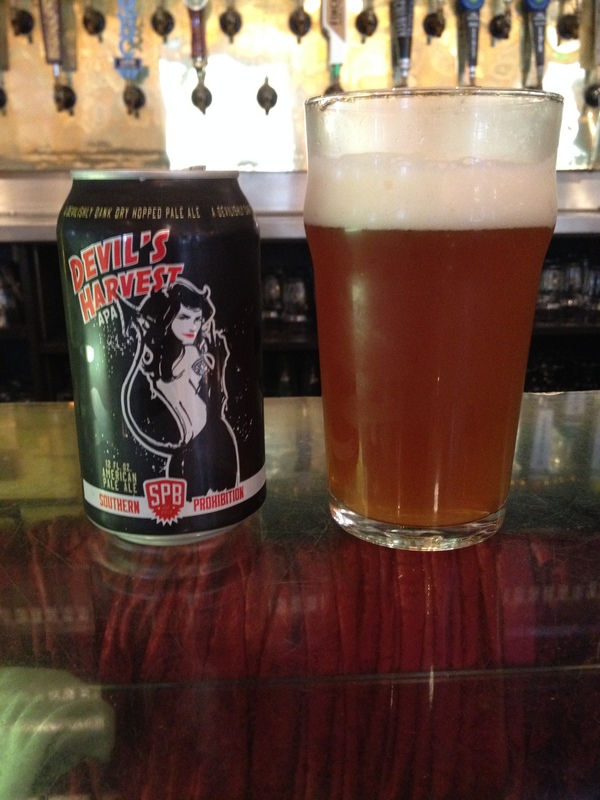 Devil’s Harvest is the brewery’s American Pale Ale. 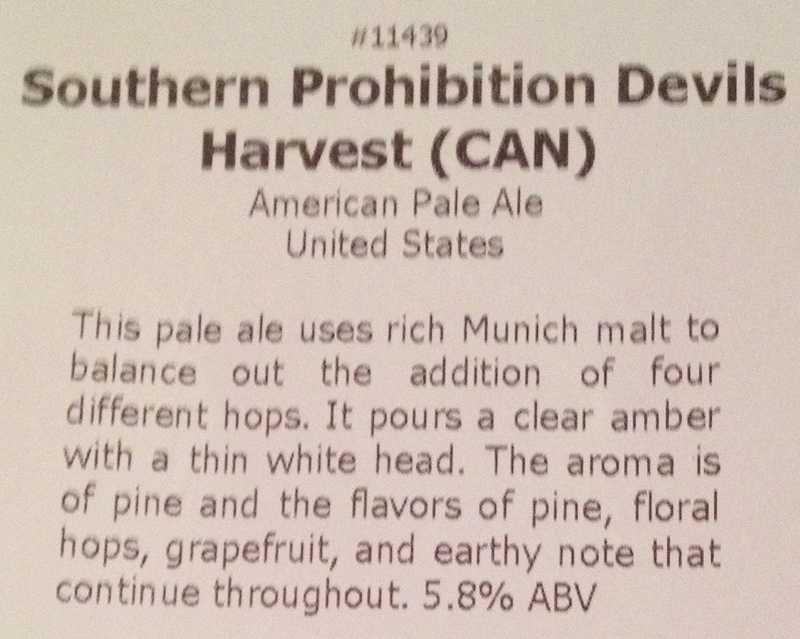 It’s full of flavor and quite hoppy, but the hops aren’t overwhelming. 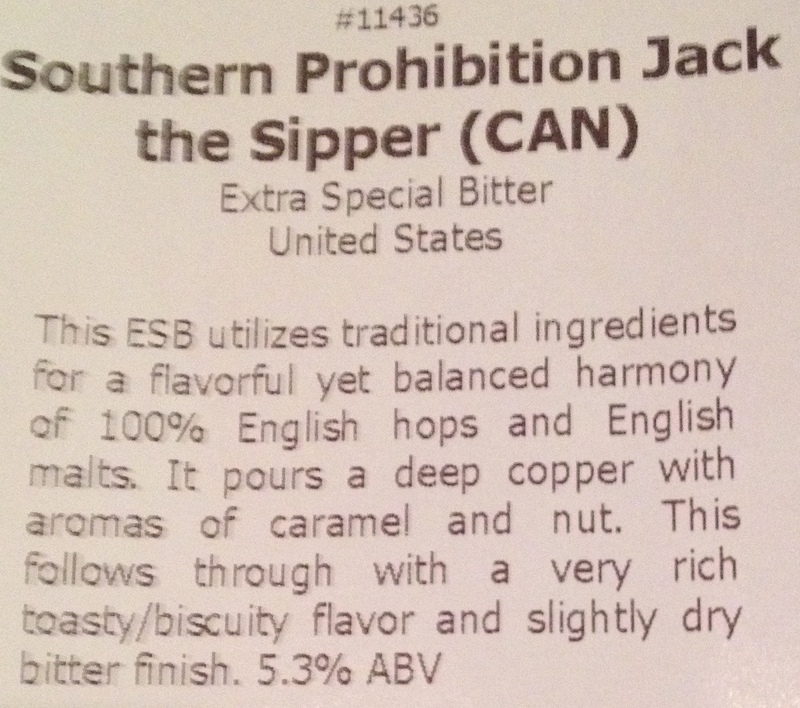 Jack the Sipper is SoPro’s ESB, Extra Special Bitter. It uses English ingredients to produce a UK experience when drinking this beer. 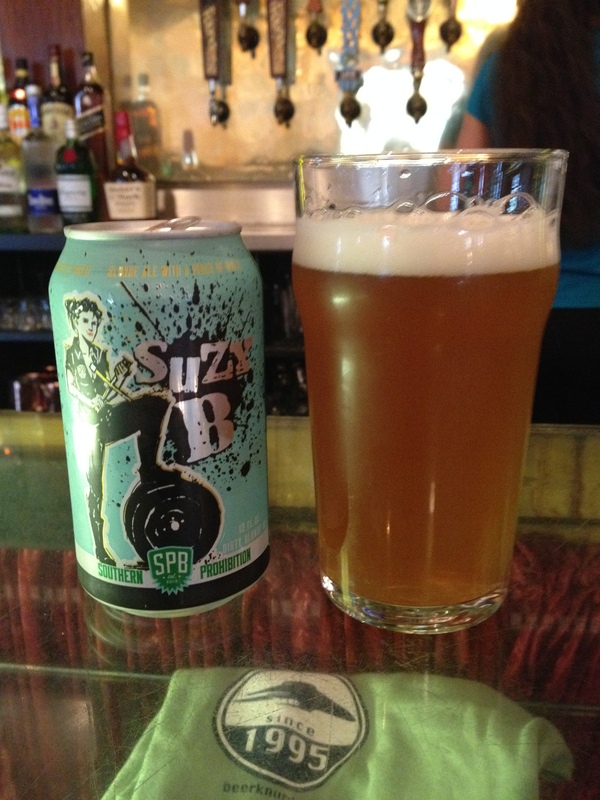 The bartender told me that Suzy B has been SoPro’s most popular beer sold at the Saucer. 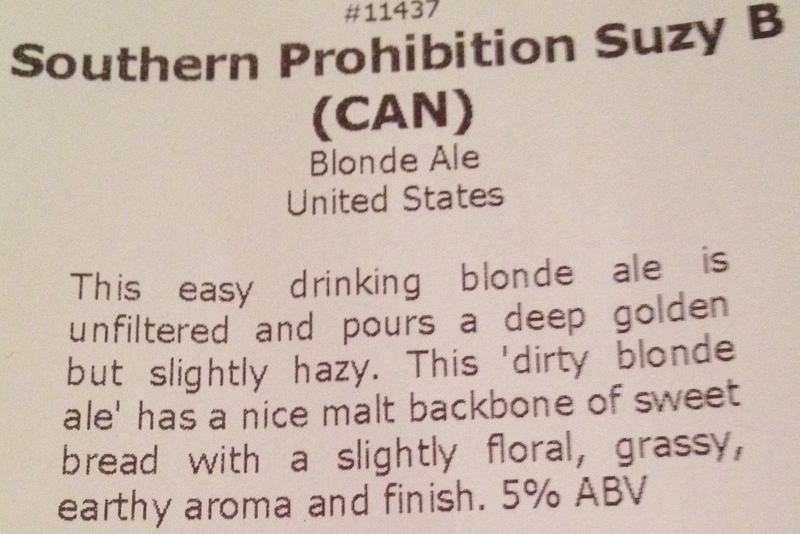 It’s a blonde ale that is easy to drink. Look at the artwork on the cans! This is clearly a brewery that takes pride not only in its beer, but in the medium in which the beer is packaged as well. 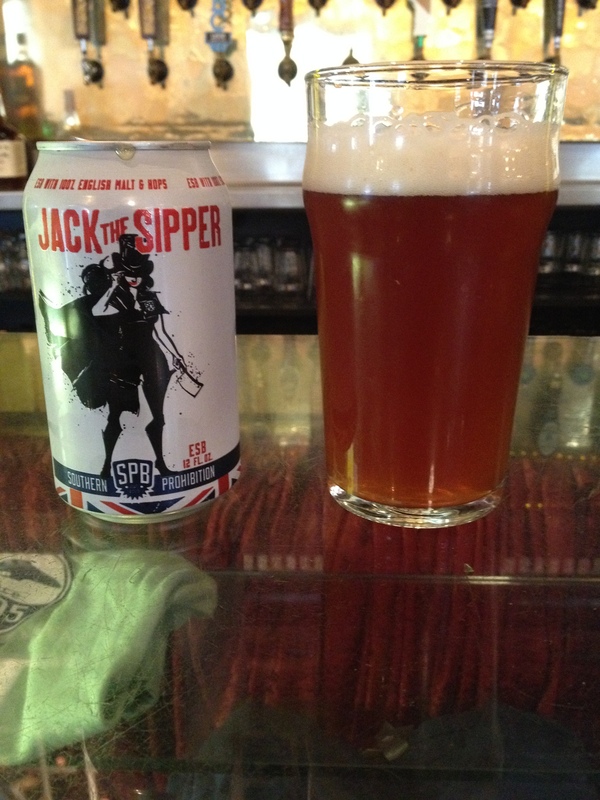 The bartender told me that on her Thursday night shift, she sold about 10 cans of Southern Prohibition beer. That may not seem like a lot, but it is. Patrons at the Saucer have 125 bottled and can beers and 75 draft beers to choose from, and a disproportionately high number have been choosing SoPro. I walked out the door at 51 beers toward my ninth plate. Along the way on the quest for 200, the Saucer gives interim awards to its UFO Club members. Because I crossed the threshold of 50, the next time I swipe my membership card on the computer, it will print out a ticket good for $5 off my next tab. Later in the day yesterday, I decided I wanted to go to the Zoo Brew event at the Memphis Zoo. So I posted on Facebook that I was looking for a date to the beer tasting. “You: Single, female, hot, extra ticket to Zoo Brew, willing to pay for my cab to Midtown,” I typed. However, there were no takers, so no Zoo Brew for me this time around. The big event Downtown today and tomorrow is the Memphis Music & Heritage Festival. You can view the schedule here. My top pick for today is, oddly enough, not live music. If you want to hear the story of a true Memphis music legend, go to the Center’s Folklore Hall at 4:45 this afternoon. Bluesman Bobby Rush will be interviewed on the Folklore Hall stage. The Folklore Hall is in Pembroke Square, and you enter through the doors to the left of the Blind Bear. PRO TIP: The Folklore Hall has a kitchen. Try some of their greens and hot-water cornbread for a real Southern experience. Bobby Rush, by the way, will headline the Peabody Place stage at the festival tonight at 9. It’s time to CALL THOSE HOGS!!! Arkansas takes the field at 3 PM today against #6 Auburn on the SEC Network. I don’t expect the Razorbacks to win, but if they can at least keep it competitive it will be a positive sign for coach Bret Bielema and his team. Plans for today: With awesome music and food three blocks from my front door, why would I be anywhere but the Memphis Music & Heritage Festival? I plan to be down there all day, with frequent stops at Brad’s bar at the Blind Bear throughout, so if you don’t see me at the festival, check the Bear. I will still lead off at Panda’s bar at Bardog as usual (I want to see her new blue hair) but it will be an abbreviated stay this week. I want to hit the festival no later than 12:30 this afternoon. Come join me!